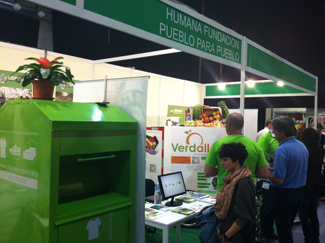 'Change is the future' is the motto of the 2013 Biocultura, 'Feria de Productos Ecológicos y Consumo Responsable', which has to place in the Palau Sant Jordi in Barcelona from 25 to 28 April. The clothing and footwear, as well as sustainable fashion and concepts such as 'ECOFASHION' are very important in the show, consisting of more than 300 activities. Friday 26, at 19 am, Humana offers the workshop 'The textile recycling, recycled fashion and development cooperation'. The workshop takes place at the Hall 7. Also on Friday, but in this case at 14 hours and in room 8, is scheduled presentation of selected projects within the Social Farming program of the Foundation. 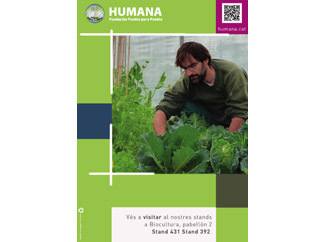 Throughout the exhibition, attendees can visit the Humana stands, located in Hall 2 (numbers 392 and 431 to get more information about the work of the Foundation in the areas of textile recycling, cooperation, development education, agriculture and fashion social secondhand. In total involved about 700 exhibitors, while awaiting the visit of some 70,000 people.